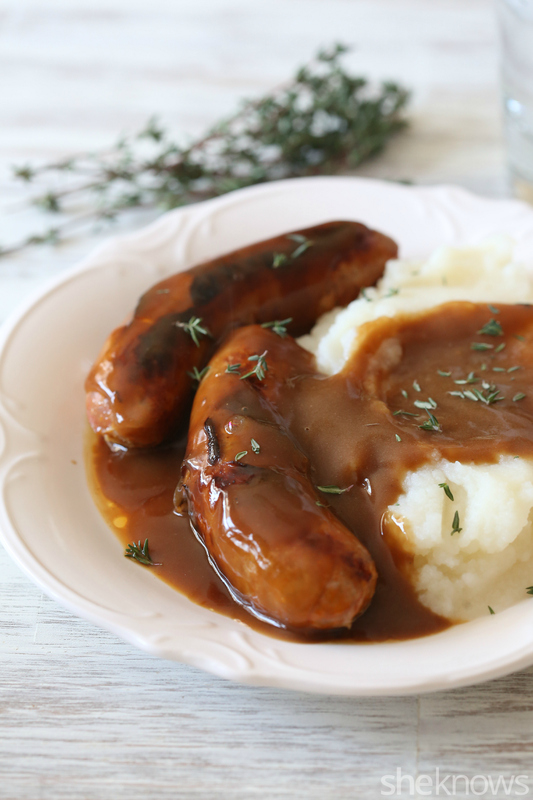 Sure, people have found lots of other ways to celebrate St. Patrick’s Day, but those of us who love to honor the Irish roots of the holiday know it’s really all about the food — and a great bangers and mash topped with Guinness gravy is the second most important part of the holiday (after corned beef and cabbage of course). 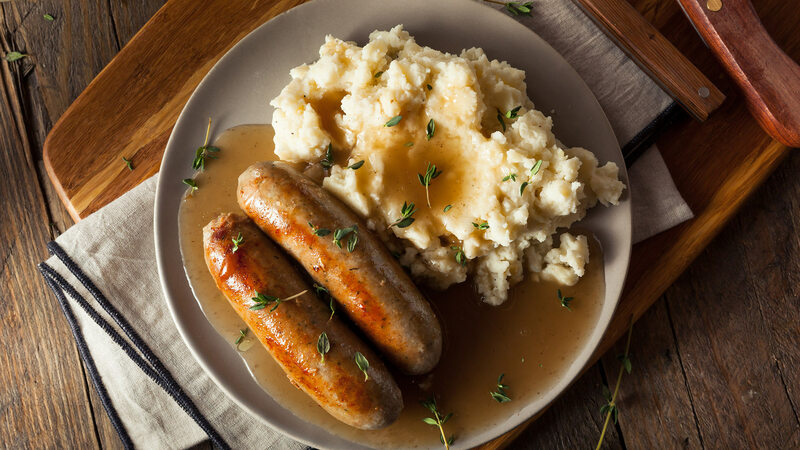 You heard that right; Guinness is the perfect addition to bangers and mash. Family and friends will love the extra Irish twist, and even better for you: This dish is easy to pull off. Tip: If you can’t find traditional Irish sausage (bangers), your favorite go-to sausage will work. Bangers and mash is a delicious traditional Irish dish — and the Guinness gravy takes it way over the top. To a large pot, add the peeled potatoes, fill with water, and boil over high heat. Once the potatoes are fork tender, remove them from the heat, and drain. Add in 4 tablespoons of butter and half of the milk. Stir to combine while mashing the potatoes. Add in more milk until you reach the desired consistency. Cover to keep warm. While your potatoes are cooking, add the sausages to a large skillet filled with 1 cup of water. Boil the sausages over medium-high heat until fully cooked. Add a drizzle of olive oil to the pan just to help crisp the skins of the sausages. Remove the sausages from the pan, and cover with foil to keep them warm. To the same pan you used to cook your sausages, set over medium heat, add the remaining 4 tablespoons of butter. When the butter has melted, whisk in the flour until it’s melted and smooth. Slowly pour in the Guinness and beef stock while whisking continually. Whisk in the Dijon mustard and Worcestershire sauce, and season with salt and pepper. Boil slightly, until the gravy starts to thicken. Add in the sausages to rewarm them, and serve with mashed potatoes.